The Pheu Thai party today submitted a list of 97 party-list candidates to the Election Commission, with Khunying Sudarat being placed in the second spot after Pol Lt-Gen Virote Pao-in, the party leader. Obviously, the name of former transport minister Chadchart Sitthipant does not appear on the list of 97 candidates. His name has also been dropped from the party’s list of three prime ministerial candidates. 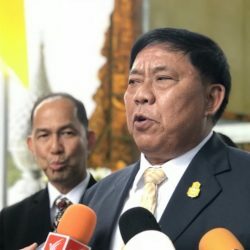 It was reported that the party had eyed Mr. Chadchart as the next governor of Bangkok, succeeding Pol Gen Aswin Kwanmuang, by nominating him to contest the gubernatorial election. 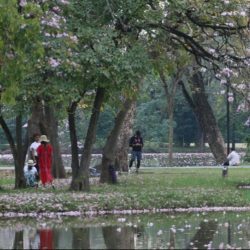 The same source said that the Pheu Thai party has a “Plan B” in case it does not win the election, becoming the core party of the next government. In such a case, the party intends to have Khunying Sudarat lead the opposition with another key party member and prime ministerial candidate, Chaikasem Nitisiri, as the House speaker. During the past four years of administration under Prime Minister Prayut Chan-ocha, Khunying Sudarat said that most people felt that the general economy had not improved as claimed by the government, with many small and medium-sized enterprises suffering losses and becoming heavily-indebted while only a handful of big businesses keeping prospering and expanding. Household debts have spiraled from 1.79 trillion baht four years ago to 12.3 trillion baht now, she added. 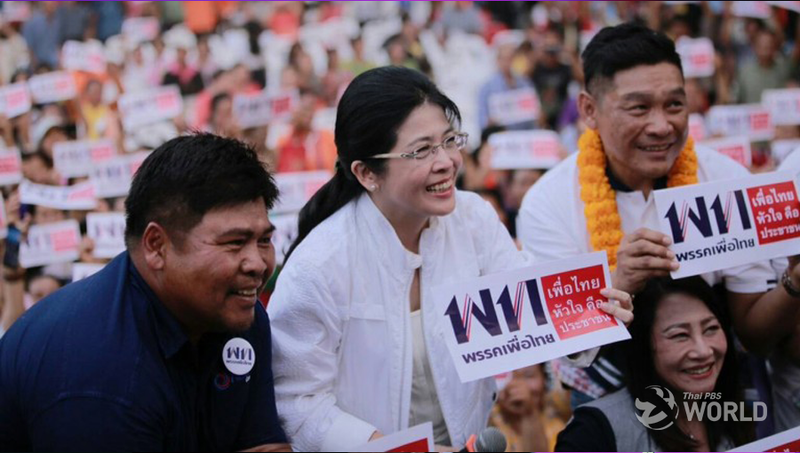 She also claimed that a previous Pheu Thai-led government had proven itself capable of bringing economic prosperity to the country. “This time around, we are confident that we can stop economic crises at all levels quickly. We will create opportunities, bring more income for the Thai people so their wallets will be filled up again,” said Khunying Sudarat.